A mid-water fish with light organs on its side. 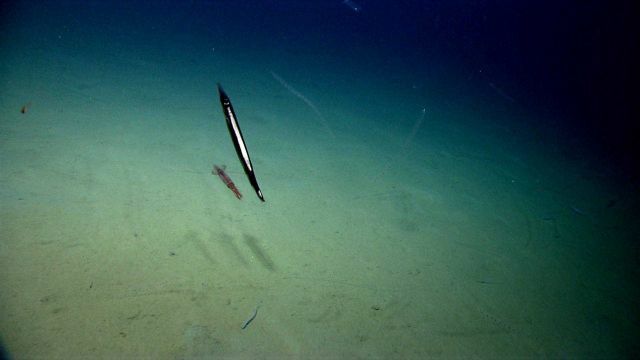 A squid swims below and numerous chained salps are seen in the water column. A cutthroat eel is seen in the bottom of the image.